You are currently browsing the archives for the tag 'sapphire orbe'. As promised here is the first post dedicated to a watch that was presented during SIHH 2019 last week. 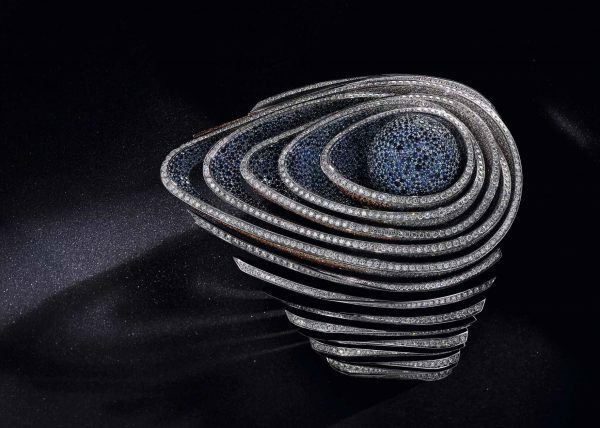 High jewellery, horology and design cues from nature have united in Audemars Piguet’s Haute Joaillerie collection also in past creations. This year’s unique piece pushes gem-setting craftsmanship to new heights. 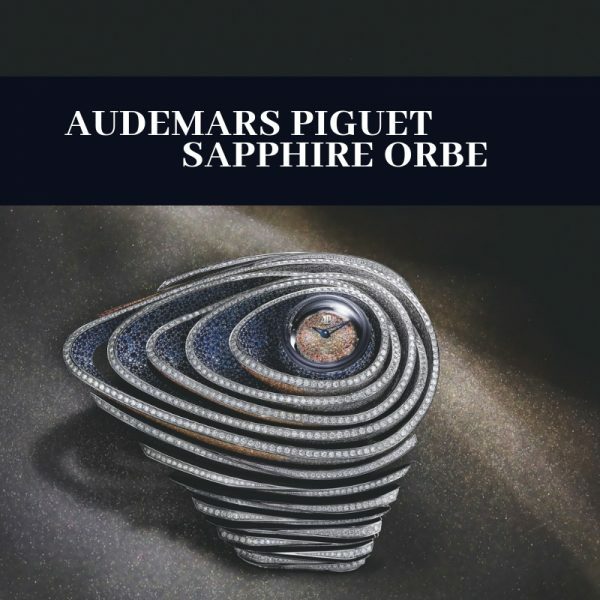 Named after the river that crosses Le Brassus, home of Audemars Piguet, Sapphire Orbe embodies a glittering river of diamonds and sapphires in graded hues of blue and orange, as night merges into day. Personally speaking, it is divine, I have rarely seen such a glamour in a contemporary design. 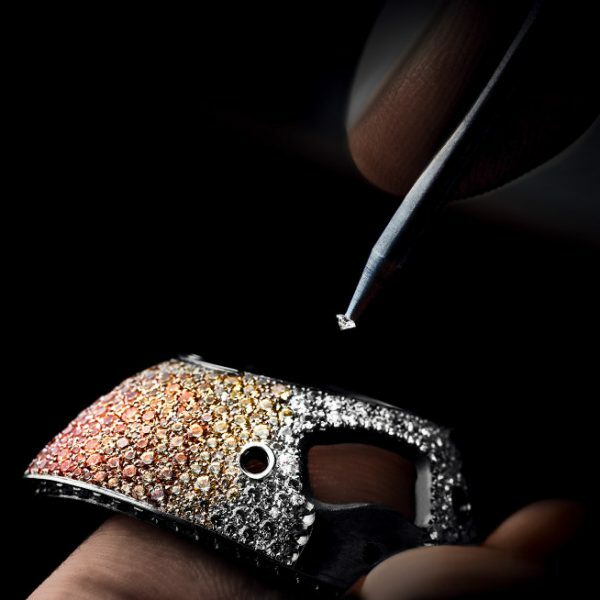 The outstanding piece features more than 12,000 stones, each rigorously selected, individually cut and set by hand. The central petal-shaped rings are entirely snow-set with diamonds and graded sapphires in 6 graded shades of blue and orange, each in 20 different diameters ranging from 0.5 mm to 1.5 mm in size. Multifaceted, this piece offers a play of colour and light that changes depending on the perspective from which it is seen. It took approximately 1,050 hours to gem-set this piece. 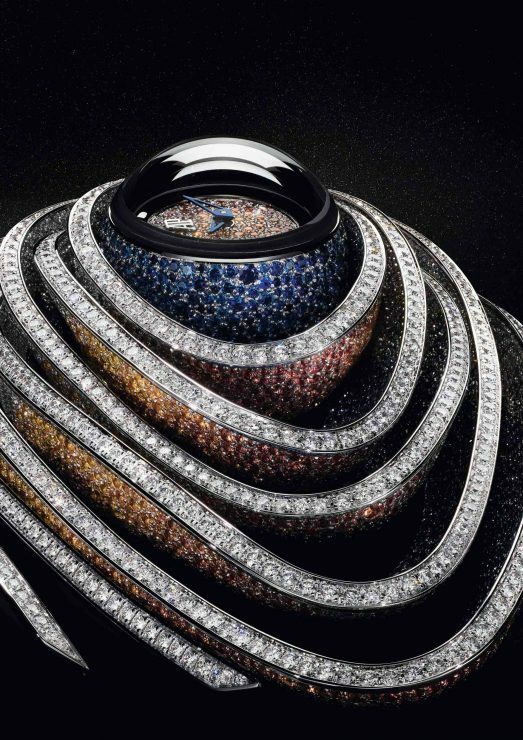 In the domed centre nestles the 2 cm dark blue sapphire-set globe which, when inverted, reveals the watch’s 18-carat white gold dial paved with graded orange sapphires. This spherical case houses a tiny quartz calibre. The bracelet is made of articulated diamond-set components, for maximum flexibility and comfort. Bracelet composed of 18-carat white gold elements, assembled together by hand and set with brilliant-cut diamonds, jewellery type clasp.